I now pronounce my vanilla cured. 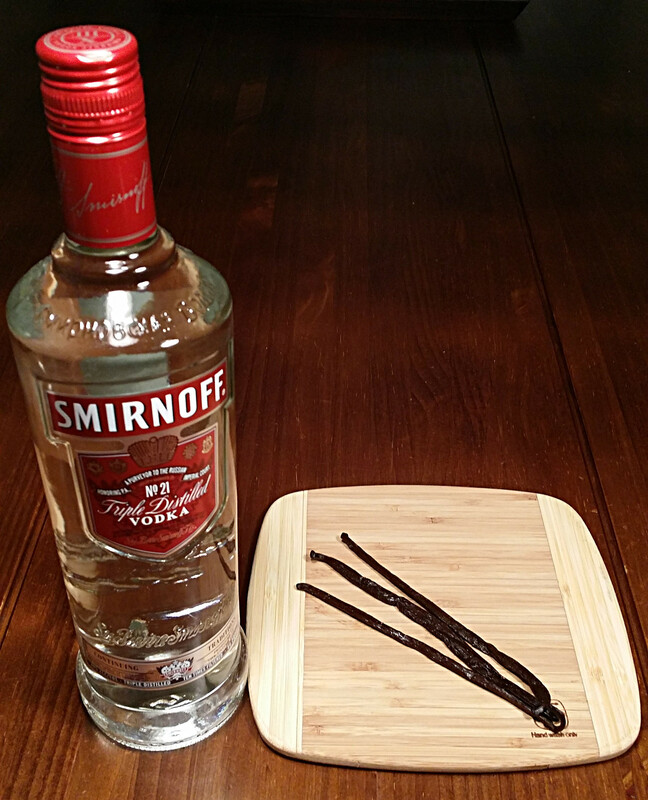 Had I started blogging sooner, I would have learned just how easy curing vanilla is. I first read about it on the blog Happiness in Jars. When I posted a couple of things on social media about my wonderful discovery, people were all “Oh yeah, I use bourbon for that” and “I stuff the spent pods into granulated sugar” and “Just top off the old beans with booze to make more.” Am I the last person to hear about this? If not, then read the simple instructions below for curing vanilla. 1. 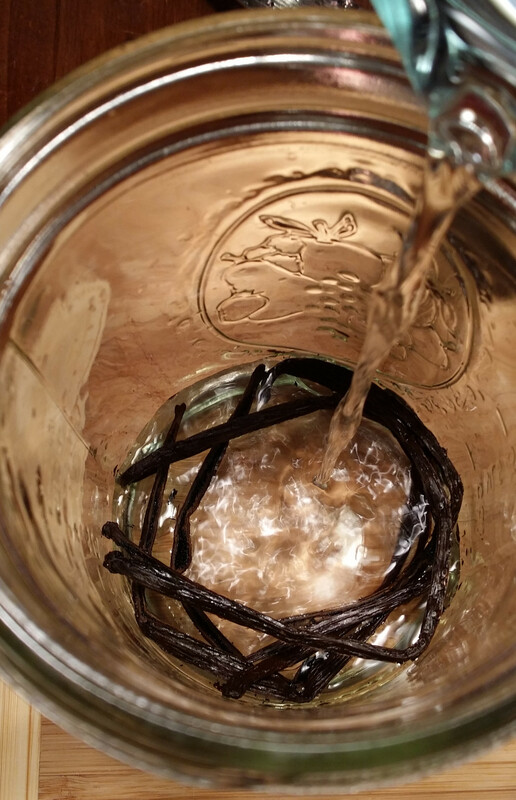 Split the vanilla beans but don’t cut them all the way to the ends. As you can see in the picture above, my moist, supple beans oozed quite a bit of vanilla goodness as I handled them. My fingers smelled wonderful. Look for soft, oily beans. I found some dried out, brittle vanilla beans in my cupboard from a 2011 trip to the Caribbean. Too bad! Wish I had known how to do this back then! 2. Place beans in a jar, pour alcohol over them and seal the jar. 3. Shake jar once a week or whenever you think of it. Make sure to submerge the beans after shaking if they poke their heads above the alcohol. I started to use my vanilla after a month because I had just run out and refused to buy more while I had three cups of it curing (I tripled the recipe). I found it acceptable at one month, but my daughter said it didn’t have enough flavor. It’s been almost two and a half months and it smells less vodka-like and more vanilla-like now. By the time I get to the second and third jars, they should be quite potent. 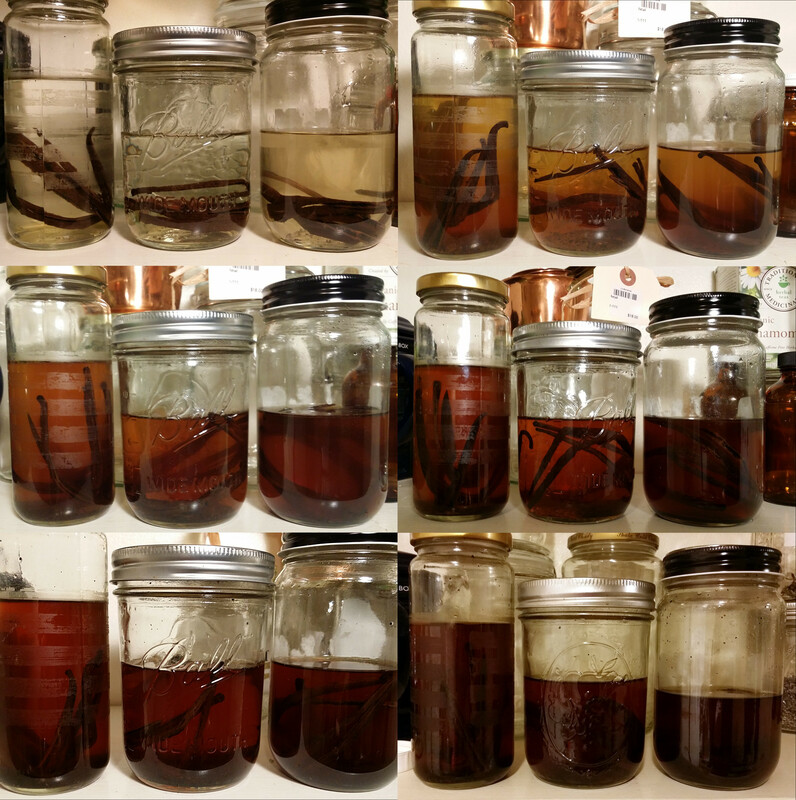 As I alluded to in the opening of this post, I have a couple of choices (that I know of) for my vanilla beans after I’ve used up all the vanilla. With the first jar, I’ll pour more vodka in and repeat the process. The beans in jar number one will have steeped for less time in the vodka than the others and so will be more potent. I’ll let that new batch cure for a lot longer. With the second jar, I’ll shove the beans into some granulated sugar, which makes vanilla sugar for extra-yummy baking. I had an ounce or so of vodka left, so let’s just say I used the whole $12.99 bottle. The very inexpensive vanilla I buy costs about $5 for 4 ounces. So I would spend about $30 for the same amount of vanilla with lots of packaging. 1. 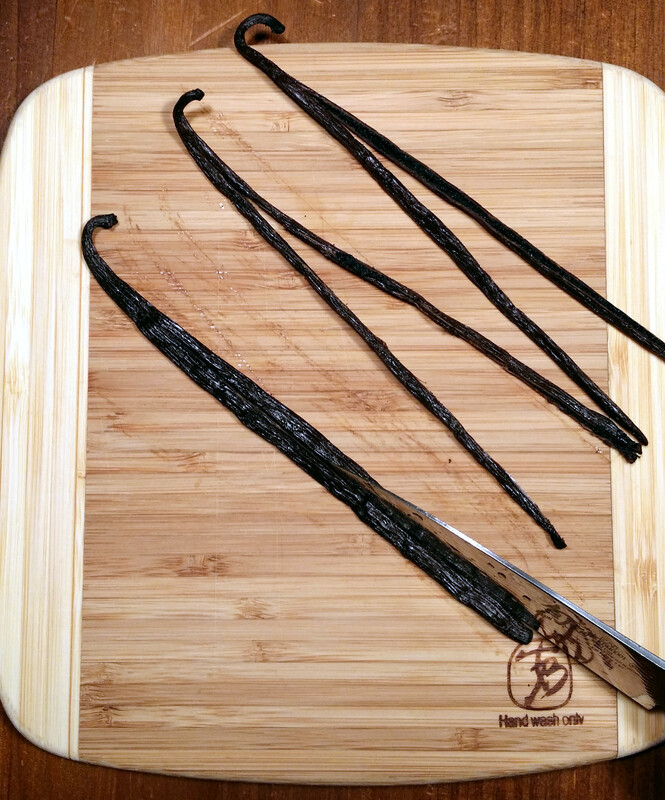 Split the vanilla beans but don’t cut them all the way to the ends. 3. Shake jar once a week or whenever you think of it. Make sure to submerge the beans after shaking if they rise above the surface of the liquid. 4. The vanilla is ready to use after about two months.